Ambry Genetics and My Gene Counsel said they will partner to offer medical-grade testing designed to confirm results of direct-to-consumer (DTC) genetic tests, as well as “proper” genetic counseling for consumers found to be at high risk for hereditary cancers, through a collaboration whose value was not disclosed. The program is intended for consumers who have taken a DTC genetic test, have a personal or family history of cancer, and still have unresolved questions. The companies also aim to serve consumers who received negative DTC testing results despite having such a strong personal or family cancer history. 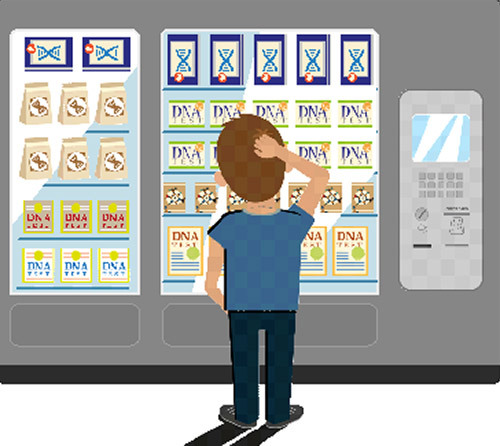 Ambry has publicly raised questions about the accuracy of DTC genetic testing. Last year, a team of Ambry researchers published a study finding false positives in as much as 40% of the variants in a variety of genes reported in the raw data of DTC tests. The study, False-positive results released by direct-to-consumer genetic tests highlight the importance of clinical confirmation testing for appropriate patient care, was published March 22, 2018, in the journal Genetics in Medicine. Following publication of the study, Arthur Caplan, Ph.D., the Drs. William F and Virginia Connolly Mitty Professor and founding head of the Division of Medical Ethics at NYU School of Medicine, told Clinical OMICs that the study’s findings highlighted why consumers needed to follow up genetic testing with genetic counseling. My Gene Counsel is offering a limited number of free subscriptions to the testing and genetic counseling through the collaboration. Consumers may also be eligible to receive free confirmatory verification testing through their insurance provider based on meeting criteria, Ambry and My Gene Counsel said. Headquartered in Alison Viejo, CA, Ambry Genetics was founded in 1999 and acquired by Konica Minolta for up to $1 billion, in a deal completed October 19, 2017. Based in New Haven, CT, My Gene Counsel is a provider of genetic testing reports that are designed to be personalized and easy for consumers to understand. The company was founded in 2014 by certified genetic counselors with more than 30 years of clinical experience and leadership in genetic counseling and testing.